Chris was born and raised in Oregon and grew up with a passion for sports. In high school, he played football, baseball, basketball, and track and field. After high school, Chris went on to earn a Bachelor’s Degree in Business Management from Oregon State University where he graduated with honors. His career has been almost exclusively in sports ever since. After graduating from OSU, Chris worked in ticket sales for sports teams that included the Los Angeles Dodgers, Seattle Super Sonics, Portland Winter Hawks, Everett Aqua Sox, Memphis Grizzlies, Columbus Crew, Hudson Valley Renegades, and the Buffalo Destroyers. Later, Chris got a job as the Assistant General Manager and Director of Sales and Marketing for the single-A affiliate of the Los Angeles Dodgers, called the South Georgia Waves. While with the Waves, he orchestrated a 75% increase in attendance and completed some eccentric promotions that included living in the ballpark for a full month. As a result, he was named Marketing Man of the Year for Minor League Baseball that year. Following his time with the Waves, Chris became the Vice President of Sales for Sports Management Worldwide, an online sports marketing company in Portland geared to help people find employment in sports. After five years of leading SMWW to continuous record-setting enrollment numbers, he was ready for a new challenge. He came on board with Valley Athletics in an effort to work more closely with programs in need of help maintaining their fields and equipment. As a Project Manager for Valley Athletics, Chris works with minor league facilities, colleges, high schools, and youth organizations to help them solve problems and save money. Chris currently lives in the Gresham area with his wife and three children. In the little spare time he has, he loves to watch baseball and football and play sports with his kids. 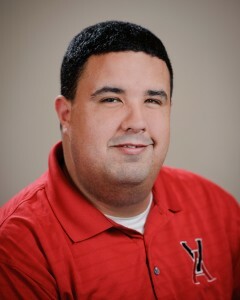 He coaches several youth sports including youth baseball, soccer and basketball. He will always have a passion for sports and hopes to pass that along to his children and help kids learn to love their chosen sport as well. Nate is a former professional baseball player who played several seasons of minor league baseball for the Texas Rangers. During his college years, he spent two years playing baseball at Mt. Hood Community College, and then moved on to play at Oregon State University, where he had the privilege of playing in the 2005 College World Series. Unfortunately, Nate was forced to retire in 2007 due to injuries. Despite his inability to continue to play competitive baseball, Nate pursued his interest in the sport by spending the next several years gaining field amendment knowledge by assisting one of the top consultants in the West Coast. In 2009, he joined his brother, Eric, in the startup of Valley Athletics. Nate currently handles all marketing functions for Valley Athletics, including maintaining the company website and creating product catalogs. He also works as a salesman and strives to educate anyone who seeks knowledge on how to properly maintain their infield. 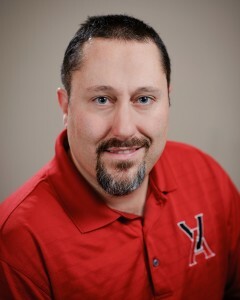 Nate is currently the Head Baseball Coach at La Salle Prep High School in Clackamas. His coaching career includes being the Head Baseball Coach at Parkrose High School in Portland as well as being an assistant coach at both Parkrose and La Salle. 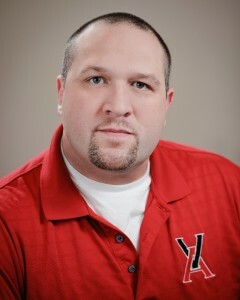 Andy has been a dedicated employee of Valley Athletics since 2010. His determination to learn the craft of maintaining athletic fields shows the lengths he will go to help provide his customers with the best possible solutions for their needs. Andy believes there’s not one clear answer for all customers. Each customer has a unique set of circumstances, which means selecting the right field product is crucial. Budget, bio region, and competition level all are determining factors, and Andy provides an unbiased approach in assisting clients with any needs, questions or concerns they may have. Brian grew up playing baseball, football, and basketball and has continued his love of sports with his career at Valley Athletics. He attended Portland State University and majored in Computer Engineering. Brian is currently an Assistant Head Coach for the baseball team at Parkrose High School where he has the chance to impart his knowledge and passion for baseball to kids there. He and his wife have one son and one daughter and reside in Beaverton. They are all huge fans of the San Francisco 49ers.